Similar to all other aircraft, all of our pilots are FAA-Certified and hold Commercial Certificates. Vista pilots have combined flight hours of well over 6,000, making them the most experienced group in the Northwest. 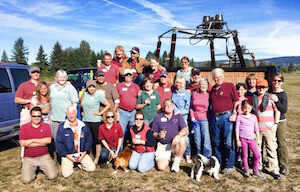 The volunteer Ground Crew is the lifeblood of the business, and without them life would be very much more difficult unless we decided that walking 5 miles after a flight was all a part of the “adventure” (rest assured, it is not). 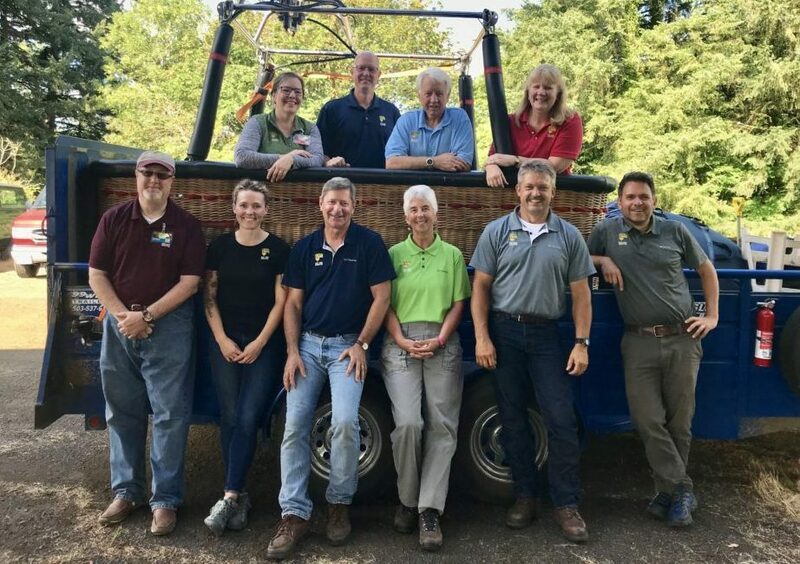 No ballooning happens without this very dedicated team. We certainly couldn’t capture everyone that crews for Vista in one photo, but wanted you to meet a handful anyway. The Jourda family purchased Vista from Roger and Catherine in 2014. Pierre is a full time Vista employee while his wife, Ashley teaches during the school year and balloons in the summer. 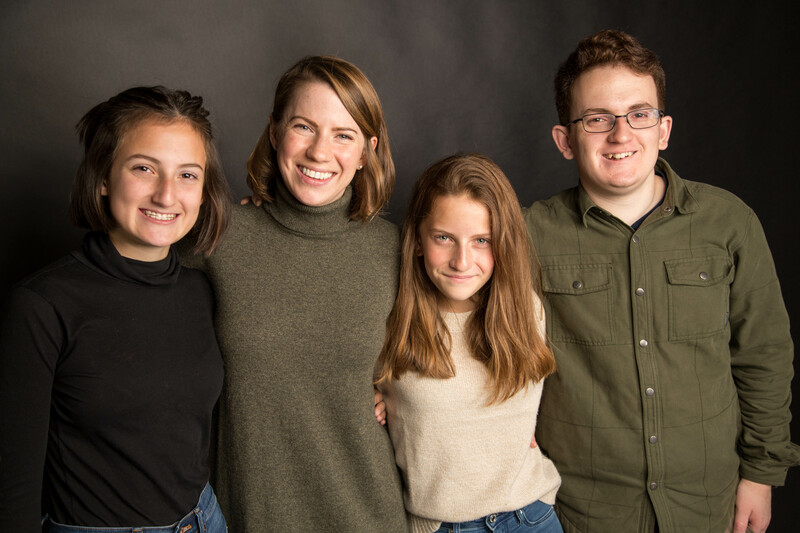 Ashley and Pierre are joined by three potential future pilots: Téa age 12, Arden age 14, and Griffin age 16. You’ll most likely meet a combination of the clan on your flight day. 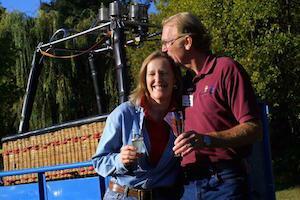 Roger and Catherine founded Vista in 1989 and grew the business steadily over the next 25 years. Even though they sold the business in 2014, Roger and Catherine still regularly make appearances on our flight days.